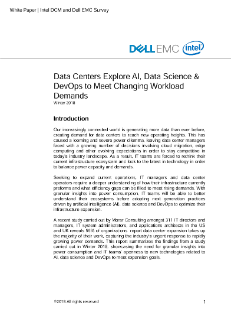 Our increasingly connected world is generating more data than ever before, creating demand for data centers to reach new operating heights. This has caused a looming and severe power dilemma, leaving data center managers faced with a growing number of decisions involving cloud migration, edge computing and other evolving expectations in order to stay competitive in today's industry landscape. As a... result, IT teams are forced to rethink their current infrastructure ecosystem and look to the latest in technology in order to balance power capacity and demands.